This is the latest official patch for Medieval: Total War - Viking Invasion. - Fixed a bug where cavalry would receive a charge bonus ad infinitum under certain circumstances. - Removed a command line cheat that would unlock the camera giving an unfair advantage on the battlefield. - Reinforcements in campaign battles now appear in the order selected in the pre-battle screen. - Kings will no longer die of old age at exactly 56 years. - All multiplayer players will now appear in the Medieval: Total War chat room and can talk to one another. 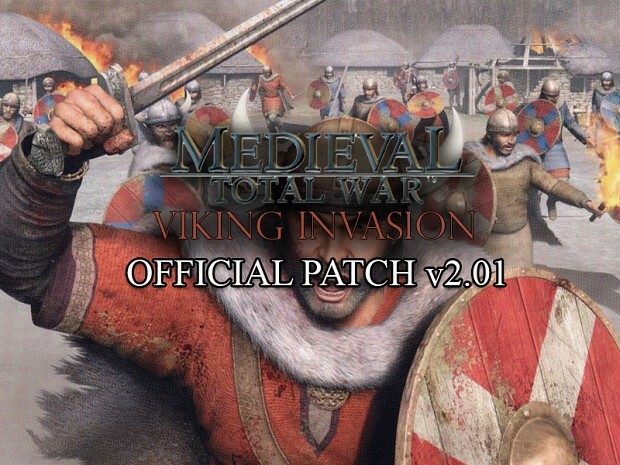 Please note that Medieval: Total War games will not show up for Viking Invasion players and vice versa. - The occasional crash/lockup bug when a player quits from a multiplayer game has been eradicated.